The following books form an important part of your CLAT Study Material needed to crack the exam successfully. Of course, this is not an exhaustive list whereas it is a list of a few books which must be covered by the candidate to get a strong hold on their basics. Word Power Made Easy by Norman Lewis: This book comes highly recommended for CLAT Study Material no matter how great command you may have over the English language. This book is the bible for tackling the English section in many competitive exams. Objective English for Competitive Exams by Edgar Thorpe (Pearson): Another bestseller, it caters to all the different types of English questions asked in the CLAT and forms a must have in the CLAT Study Material. Legal Aptitude for CLAT and other Law Entrance Exams (Pearson): For all aspirants, this book will serve as a very useful guiding mechanism to steer through all the intricate concepts involved in the legal aptitude section. This is a CLAT Study Material must have. A Modern Approach to Logical Reasoning by RS Agarwal: The book will give you a basic understanding of different topics. CLAT Study Material usually includes this book along with other verbal and non-verbal reasoning books. Objective General Knowledge by Edgar Thorpe (Pearson): For the General Knowledge sections, continuous and intense practice is the only way to go. This book will help the students brush up on different types of General Knowledge. CLAT coaching centres in Preet Vihar and Patparganj offer many advantages. These coaching centres often small batch sizes which enables the teachers to pay closer attention to the individual students and provide for good CLAT Study Material. They can help the students on a more personal level rather than simple classroom discussions. They provide good CLAT Study Material which is vetted and checked to ensure that it covers the whole syllabus for CLAT. The teachers are themselves experiences and highly qualified who help the candidate navigate through the voluminous course with relative ease. Many of the institutes offering CLAT Coaching in Preet Vihar and Patparganj have good infrastructure which facilitate a more interactive type of learning style. The classrooms at these coaching institutes and centres have state of the art technology for teaching the students concepts in the best possible way. It helps the students to grasp all the concepts much better. The centres are centrally located and easy to find with accessible routes thus making the commute stress free and cost effective. The CLAT Coaching in Patparganj have great reputation around their centres and institutes. The previous rankers of these institutes are the ones who have cracked top NLUs and have done so with the help of their professional and learned staff. The coaching centres engage the students in regular classes which help the candidates maintain regularity in their preparation which would ultimately translate into a thorough understanding of all the concepts and topics involved in the CLAT exam. Recently, many institutes which offer CLAT Coaching in Preet Vihar and Patparganj have also started with CLAT crash course online whereby they provide the CLAT Study Material and other course books via mail after the students subscribe to that particular program on their website. This is, in my opinion, one of the most efficient ways to prep for the exam since this way the student will be able to save time spent in travelling and help root out the negatives of classroom coaching. 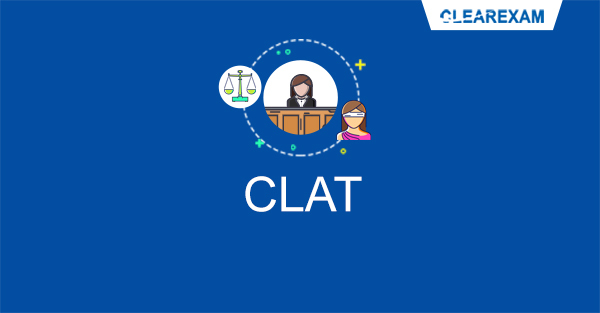 The CLAT crash course online series is also becoming popular among students who cannot travel to Delhi and can therefore avail the benefits sitting at home. The fee for such online crash courses is also cheaper as offered by institutes of CLAT Coaching in Patparganj and Preet Vihar. Finally, I would like to ask you all to stay encouraged and constantly motivated so that you have a positive outlook towards your preparation and exam. If you have put in the midnight oil, the results will show. Happy studies and good luck for your exam!